On Presidents Day 2018, an “on this day” Facebook post popped up of … the current president. 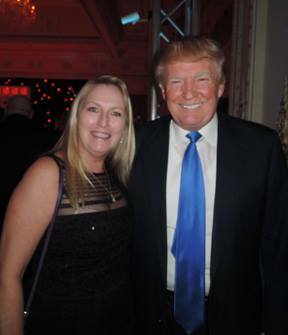 In 2015, at a charity gala at his historic Palm Beach mansion Mar-a-lago, the gregarious host mingled among the guests for photo opportunities. Kismit in 2018 to pop up on Presidents Day. I love America. My family members were among the first settlers and political, religious and educational leaders in the young country. I was pleased when my Italian publisher friend noted the patriotism in my book “Marlins Cry, A Phishing Story” in his review this week. I don’t recall what exactly I wrote about democracy in the 2012 book. (I think it was banter with fishing captains.) American values are central to our freedoms, and something I certainly treasure as a writer, and not surprising that it got ink in my book.